Ever since the First Battle Of Armageddon, on Halloween 2013, the Devil has been on Earth in biological form. Ousted from Hell by the diabolical Sorcerer Dimitri Diablo. That battle thwarted his attempt to father his Earthly son The Anti-Christ. 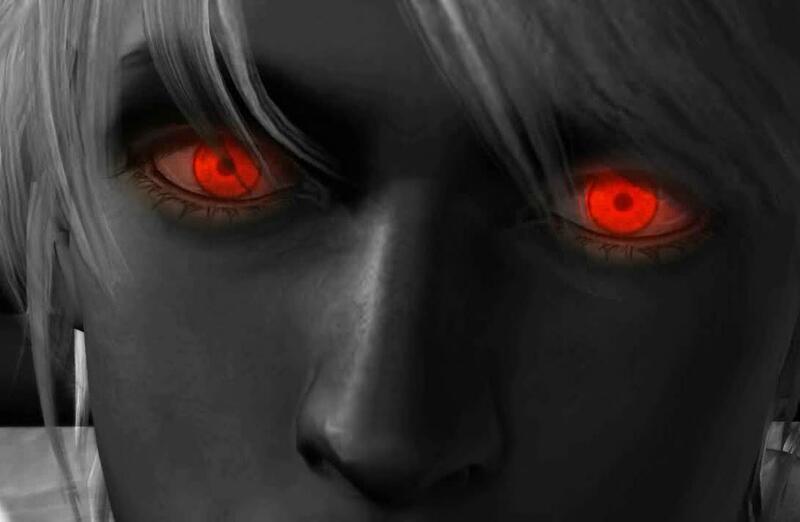 The prophesied child of darkness would be the most powerful force of darkness on Earth. Even more so than his father due to Angelic forces limiting the Devil on Earth while his son gets a free pass due to not being a pure demon. 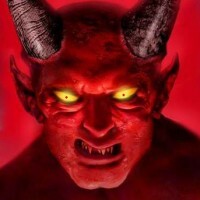 Over the nearly past year, and a half the Devil has been dodging not only Angels but various members of the paranormal community hoping to kill or capture him. There’s even a group of brave warriors calling themselves the Satan Slayers. Unfortunately all of us in the supernatural community dropped the ball, and the Anti-Christ was fathered, and born in the North Atlantic Faroe Islands during the March 20th, 2015 Spring Solar Eclipse. Yes you heard that right! The Devil impregnated a woman, and she supernaturally gave birth during the barely three minute solar eclipse! The ritual to Father the Little Prince of darkness is quite a production, and is designed to keep the consummation site hidden from Angelic forces, overcome various protection spells on Earth that prevent such an unholy birth, and also imbue the Anti-Christ child with extra special powers. More or less the Emperor Of Hell created his own Devil’s Triangle, and directed the tip at a key point amid the visible solar eclipse. 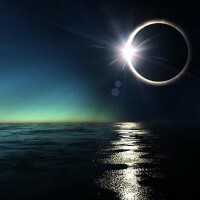 Solar Eclipses are wondrous cloaks of darkness for the forces of evil. Not only are the holy rays of the sun blocked but it’s energies are filtered through the not so holy Moon. During a total solar eclipse this results in the visible corona ring of light being concentrated unholy light. The three vertices of the Devil’s personal power triangle are special supernatural energy points on Earth. The first bottom vertex of the triangle is located near the Killarney National Park in Killarney, Ireland. It’s the secret cloaked Capital Of Good Luck On Earth. The home of the proud little Leprechaun people. 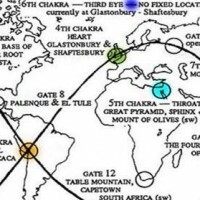 The second bottom vertex of the triangle was the Earth’s Fourth Chakra, the Heart Chakra, located at Glastonbury-Shaftesbury, England. The top vertex of the triangle is on the Isle Of Mann. Home of the largest concentration of Fairies, minor nature deities, on Earth. The power generated by this dark triangle was then directed to the Faroe Islands not only due to it’s ideal location in the solar eclipse visible zone but also due to the coincidence of the Earth wandering Third Eye Chakra being located there at that specific time. The Devil had no need to alter the Heart or Third Eye Chakra of the Earth since they are neutral due to the Earth being home to both the forces of good, and evil. 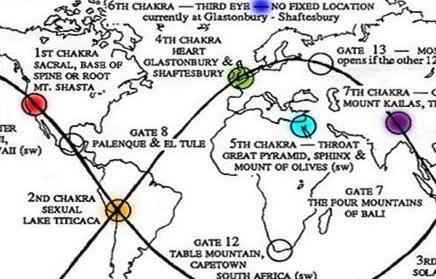 All the Earth’s Chakra’s are some of the most powerful paranormal places on Earth, and can be used by anyone with the right knowledge to exploit them. When it came to the Killarney Lucky Leprechaun Energy Center, and the Fairies Of Mann things had to be twisted to the dark side. On the evening of July 9th, 2014 the Devil provoked a fight between two rival fairy factions on the Isle Of Mann causing the widespread discharge of highly concentrated photokinetic energy bursts, and fairy dust showers. 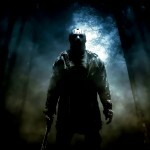 At the Witching Hour on July 10th this caused a slow growing dark energy vortex to open from the Underworld. It was undetectable by the Fairies who noticed a considerable drain in their powers since last year as it grew larger. Only now has the demonic vortex been shut down. Vulnerable Chakra’s Can Be Damaged During These Harsh End Times! Take The Free Chakra Healing Test. Over the past years Clurichauns, aka dark Leprechauns, have been slowly but surely infiltrating the center of the Leprechaun village where Lucky Lake resides. Lucky Lake is the largest natural wishing well on Earth containing tons of lucky gold coins under it’s hallowed waters. These Clurichauns had apparently been cursing the gold with their bad luck bit by bit so the Leprechauns wouldn’t notice. During the eclipse at the right moment an army of Clurichauns entered the vulnerable village, and cast a demonic spell to make the entire village the momentary Capital of dark luck. After the eclipse past the Leprechauns repelled the dirty little devils! 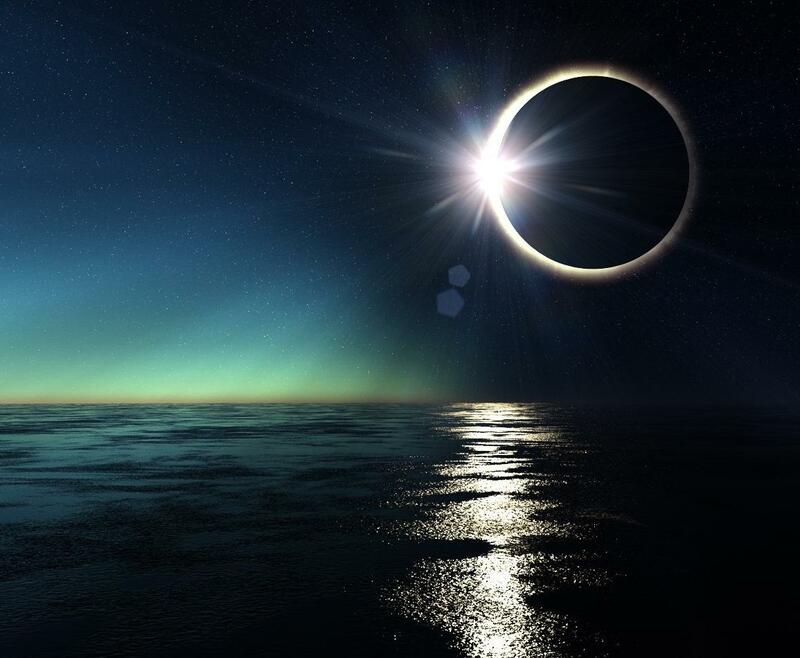 The Solar Eclipse itself was amid the perfect Tetrad Blood Moon storm of the past year along with being on the Spring Equinox which is a time of supposed balance on Earth. 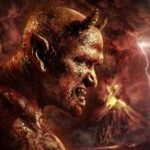 However the Devil tipped the scales toward evil. The dark Anti-Christ consummation ceremony took place at an outdoor Devil worshiping temple on the Faroe Islands in the middle of the eclipse. It was presided over by a variety of dark demonic Priests, Witches, Warlocks, and Wizards lead by the up, and coming genius Sorcerer Brimstone. A one time apprentice of the notorious Sorcerer Dimitri Diablo who is now the King Of Hell. Originally the Devil planned for Shala, Queen Of Halloween, to be the Anti-Christ’s mother due to her being a powerful Angel-Demon Hybrid. Luckily those plans failed. Especially considering they went against prophesy that states the Anti-Christ should be half human. The mother was thought most likely to be a dark demonic witch. We now for the first time reveal the general identity of the Anti-Christ babies mother. In keeping with the fact that Jesus Christ was the son of the Omniverse God in human form the Devil choose someone similair. A daughter of God in human form. Sometime over the past year the Devil kidnapped a woman who was apart of Jesus Christ’s lineage. Yes Jesus secretly had children. The woman was brainwashed into believing the Devil was a saintly fellow, and then on the eclipse within the power of the Devil’s Triangle in the aura of the Earth’s Third Eye Chakra the spirit of Goddess Gaia Mother Earth was cast into this woman. The Earth’s spirit flowed freely into this specially chosen woman. Goddess Gaia was adopted as the daughter of the Omniverse God, father of Jesus Christ, many millions of years ago. She was originally a spontaneous creation of the collective consciousness of the Earth’s complex biosphere. So the Anti-Christ is technically a Demi-Demongod. A previously unknown being. The demonic child was supernaturally conceived, developed, and born all within the eclipse. The mother, whose name is being withheld to protect her family, was absorbed by the Earth’s Third Eye Chakra, and disappeared! The rapidly growing Anti-Christ child is now being raised by his father, and several demonic nanny’s. This Hell spawn could be on the world stage within 10-20 years ready to spearhead the final Battle Of Armageddon for the forces of evil! 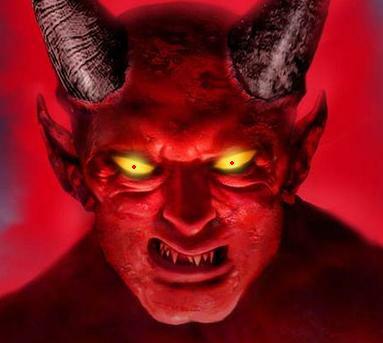 Any current world leaders being touted as the Anti-Christ are merely the Devil’s minions paving the way for his unholy crown Prince of Darkness. The Devil Informs The World Of His New Son’s Birth By Having Their Images Appear Across Global Skies! Coming Soon more information of the April 4th, 2015 Tetrad Blood Moon Anti-Christening Ceremony! A Clurichaun, aka evil Leprechaun, hunting team was on the trail of the Lilliputian purveyors of dark luck when they happened upon the awesome sight as witnessed in the video above on April 8th, 2015. 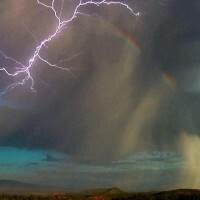 A Leprechaun-Unicorn transport rainbow appearing in the thunderous skies amid a titanic tornado. Reports indicate that a Leprechaun was in Medicine Lodge, Kansas meeting with a group of Native Americans composed of many tribes. A secretive supernatural group called The Wichita Warriors that specializes in fighting the forces of paranormal darkness. It seems they saved a Unicorn from a rabid group of Clurichauns attempting to use the magical creature for diabolical deeds. The tribe partook of a special ceremony to summon the Leprechaun who took custody of the sacred Unicorn for return to safe mystical wooded havens on the Emerald Isle. Unfortunately the Clurichauns were deeply angered by what they saw as the theft of their animal, and came after the Native American Warriors in droves. The concentrated front of bad luck caused a massive tornado to form out of the control of local weather Goddesses, and Nymphs. The Natives pleaded with the Leprechaun to make his escape while they held his bad luck brothers off. The lucky little fella complied, and immediately sprung atop the noble gleaming white beast with golden horn shimmering majestically forth. The combining of the two supernatural beings powers were needed to form a metaphysical transport rainbow to Ireland due the dark luck dampening field spread by the Clurichauns. They escaped their evil brothers, and the brunt force of the dark luck tornado as the Leprechaun trusted the Native American Wichita Warriors with his good luck pot of gold. Their ancient magics combined with the lucky gold allowed them to create a good luck shield to protect them from the tornado as they valiantly fought off the Clurichaun scourge. Evidence indicates they secured a victory against the Clurichauns courtesy of a Sasquatch who acted as back up to this amazing group of supernatural warriors. The Big Foot has always been a friend to Native Americans. Their immunity to dark magic, and luck came in handy. This battle resulted in some human injuries that included Clurichaun bites. Thankfully there were no human nor Sasquatch fatalities. However the Clurichauns saw some casualties, and captures while only a few escaped. The Clurichaun Hunting crew that captured the video above managed to snag the rest of the fleeing mini masters of mayhem. 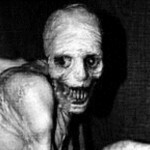 Clurichauns now the subject of study at a private top secret supernatural Cryptozoological research center in Colorado. As the dark luck front dissipated so did the terrible twister due to local weather deities regaining control. Lucky Lady Gains Immortal Super Powers! The victory for the forces of good isn’t the only wonderful news here. 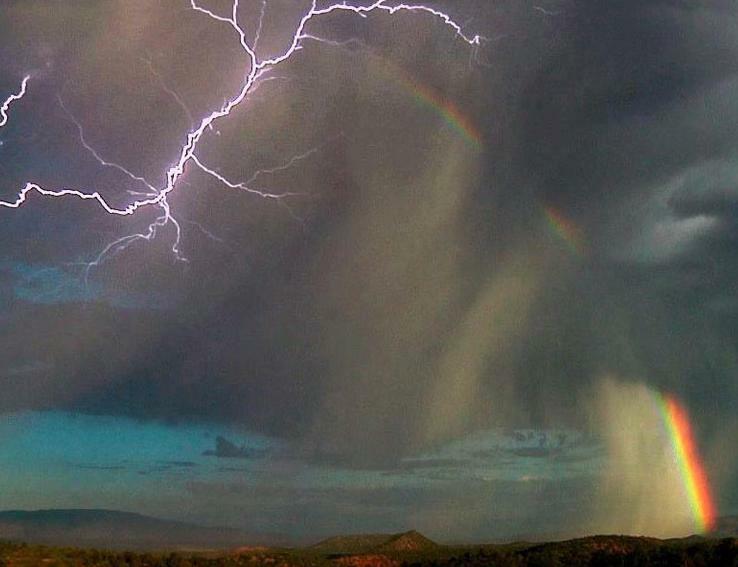 It seems a lucky 58 year old woman nearby witnessed the Leprechaun riding the Unicorn as the rainbow formed. She was a member of the Clurichaun Hunting team. 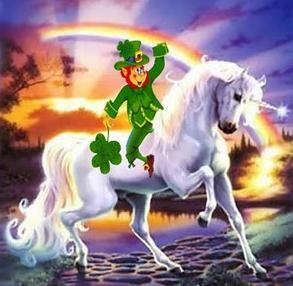 Witnessing a Leprechaun riding a Unicorn has been known to grant humans immortality, and an eternity of good luck since the sight is so beyond rare it magically alters a person. It’s said to be related to the photons bouncing off the miraculous vision being paranormally altered. 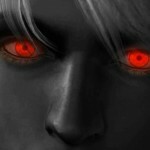 Then these paranormal photons enter a persons eyes which are the window to their soul. There’s also the fact that these supernatural photons only enter one persons eyes. In other words if a group were present only one person would witness the rare event. That is unless they themselves had supernatural powers of some sort. We also have the addition of a supernatural rainbow formation, and the dynamic lucky duo entering it. A previously unknown witnessed event. At least it’s never been recorded. The woman’s name is being withheld to protect her from public scrutiny, and violation of the Supernatural Secrecy Pact. However this extremely lucky lady needs no protection with the luck she will relish the rest of her eternal life! 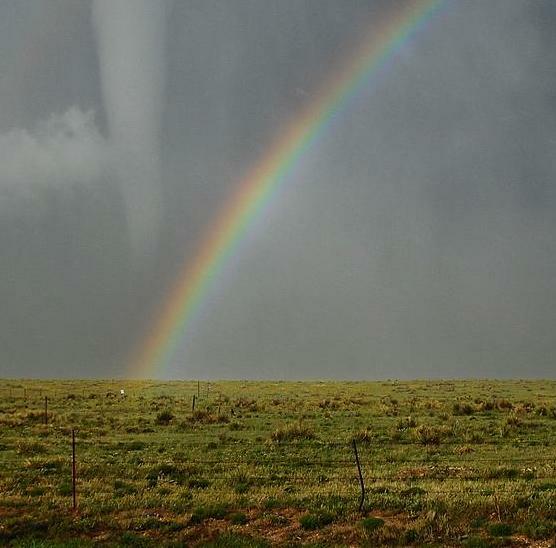 The Native Americans stumbled upon her after the Clurichaun battle, and dissipation of the tornado which she survived standing in an open field. None of the Natives witnessed the Leprechaun-Unicorn event since they were engaged with the attacking Clurichauns. The Native Wichita Warriors sensed the woman’s transformation, and discussed it with her colleagues. The wise Natives gave the woman of eternal luck advice about her bright future. The lucky event not only gave her immortality, eternal good luck, and anti-aged her to what appears to be her early 20’s but she also possess Rainbow Light Manipulation Powers. This may include rainbow generation, teleportation, invisibility, healing, and use as a weapon with the possibility of rare Rainbow Fire Powers! This is the power of good luck interacting with humans Junk DNA that posses a wide range of latent telekinetic powers courtesy of our higher dimensional souls! amazing abilities for use in the fight against evil as the various Battles Of Armageddon approach. In addition she has given herself the superhero name Rainbow Warrior. 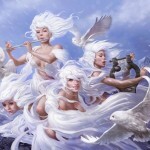 The Wichita Warriors believes she is the first step in fulfilling the Warriors Of The Rainbow Prophesy. A future group of individuals who would save the Earth from environmental destruction. It certainly is quite a coincidence that she is half Native American, and half European. The prophesy is also about bringing together the Native stewards of nature, and those whose ancestors were responsible for defiling the sacred lands of Goddess Gaia Mother Earth. This is also a sign of the impending Third Battle Of Armageddon. We here at Mystic Investigations wish The Rainbow Warrior well on her exciting eternal quest for justice, and hope to meet her in the future! What Happened To The Cast Of The Leprechaun Movies? Find Out HERE While You’re Still Medicating Your St. Patrick’s Day Hangover! Sporadic arcs of iridescent light were reported over the Ballaugh Curraghs wetlands on the Isle Of Man at sunset on July 9th through approximately the 12:00 AM Midnight Witching Hour of July 10th. An eerie mist moved in off the sea at about 11:30 PM, and that’s when the colorful rays of light most densely blasted with a distinctive other worldly din. 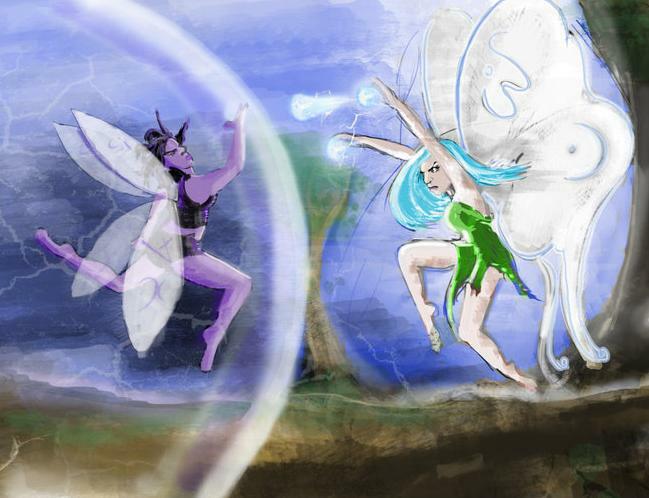 Our research indicates that two factions of Faeries were engaged in immortal combat with each other. This supernatural story first broke on Emmett McIntyre’s blog on Transceltic.com. It seems a band of Irish Trooping Faeries was flying over the Irish Sea when they were blown off course by an unexpected gale. Since Fairies are lower level nature spirits under the general authority of Nymphs, minor nature deities, there was something suspicious about this gale. The human meteorologists may never get the weather right but by golly Faeries, Nymphs, and Goddesses create it! The Devil himself in biological form, last seen in England near Stonehenge with the nefarious Plague Doctor mere days before, may have had a hand in this. If so it’s unknown what his motives may have been. Possibly a first minor effort to sow discord among the Earthly Gods as the specter of Armageddon looms forth? Certainly the presence of the Universes top Demon so close to this incident couldn’t be a coincidence? The Irish Faeries were known to be a renegade group but were still regarded as peaceful, and no higher level nature deities would have perpetuated any unpleasantness upon them. The Irish Faeries, known to be loyal to the Celtic Goddess Brigid, had no choice but to land on the Isle Of Man to seek refuge from the gale. Unfortunately the Isle Of Man Fairies, known to be deeply beholden to the Celtic Sea God Manannán mac Lir, are isolationists who did not take kindly to what they viewed as an invasion force in their sacred territory. That’s when the first battle ensued on the shores making their way to the main battle ground at the Ballaugh Curraghs wetlands. Manannán mac Lir paraded his deep cloak of mist forth upon the Isle to give his Faeries a fighting edge as they knew how to navigate it well. All hope seemed lost for the Irish Troop as a kaleidoscope of magical energy arcs volleyed about causing a remarkable increase in local flora. Witnesses early the next morning were dumbfounded by the plethora of flowers that appeared out of nowhere overnight! It’s said the mist cleared rather quickly during the Witching Hour due to the Goddess Brigid charming Manannán mac Lir. 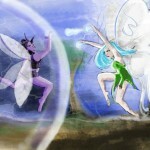 A cease fire was called by the two Gods, and the Faeries reluctantly obeyed. Local witches who had captured some of the Faeries in the chaos of the battle were compelled by local Nymphs to release the Fairies. However they were allowed to keep the captured mystical energies of the epic metaphysical melee. It would be best for anyone up to no good to avoid these Isle Of Man Witches for a great many months due to their stockpile of Fairy power, and dust. Witnesses reported the sparkling gold Faery dust was strewn among the newly sprouted flowers, and shrubs. The Irish Troop was allowed to rest on the shores of the Isle until the brink of dawn when they flew up over the Irish Sea into the serene sunrise. Not soon after the Faery incident unofficial spokesperson for the Earthly Gods, and leader of the largest faction of said Gods, the Greek God Zeus, urged all Gods, Goddesses, and other nature deities to get along as Armageddon approaches. He was quoted as saying,”We shall not allow this Earth we built to fall into the hands of the Demons, Jinn, nor even the so called sainted Angels. This is our domain, and all life, including the humans, are under our holy protection” Zeus also took this opportunity to further comment on the February 2014 tragedy perpetuated by The Devil which resulted in his Siberian Demigod training camp being destroyed. 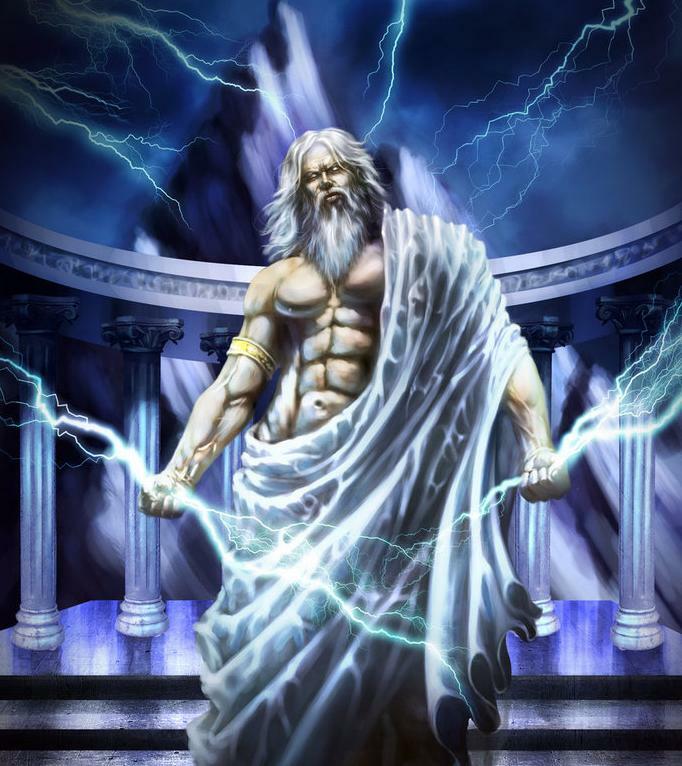 Zeus stated,”The massacre of my innocent children shall not go unpunished. Those brave men, and women did not die in vain. They’re deaths shall be avenged. Anyone who can bring me the Devil dead, or alive will receive instant ascension to Godhood by my side.” Certainly this is the highest reward anyone could offer! This message from Zeus came from his Official Counsel Of High Priestesses in Greece. Just recently formed to be his mouthpiece in the war of Armageddon.